Imperforate, watermark 166 (colorless numerals), typographed. 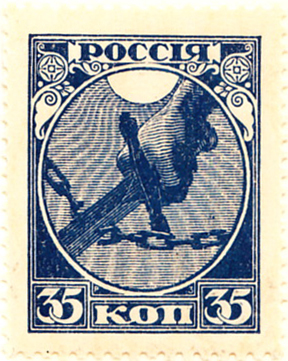 On November 12, 1857, The Tsar signed giving approval for the design of the first stamps. The French literature and Scotts list the printing date of 10 December 1857. The German use 23 December 1857. Postal circular #3 was disseminated by the Postal Department on 10 December 1857; in it, it was announced that postage stamps for general use would be issued for prepayment of private correspondence. The Circular ordered the Postal Estasblishments to begin sale of the stamps immediately upon receipt of the Circular, but the usage of the stamps was permitted to begin in European Russia no earlier than January 1, 1858. 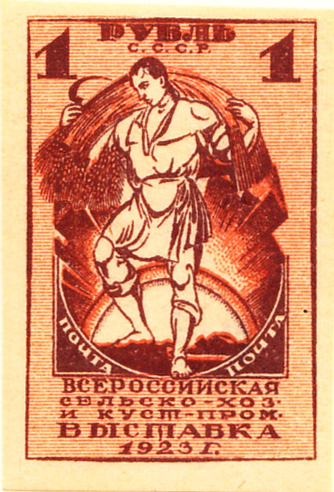 Approximately 10,510 of the first Russian stamps were sold in between 10-22 December 1857, and at several places they were used immediately on mail, i.e., in the same month. The same circular called for denominations of 10-, 20, and 30-kop. to be issued perforate on 1 January 1858. However, the perforating machine to do this, which was ordered from Vienna, arrived late in St. Petersburg and was not properly working. So, to meet the deadline, another 3 million imperforate stamps were issued. The Russians got the machine working and the first issue of all three denominations perforated commenced within the first 10 days of January 1858. Thank you to Gary Combs of The Rossica Society of Russian Philately for the informative text. The first issue was made under the tsars and Russia provides stylish examples of administration changes with the first stamps for the Russian Socialist Federal Soviet Republic (1918) and the Union of Soviet Socialist Republic (1923). There were, of course, many more issues at the break up of the USSR in the 1990s: these are dealt with separately in the Breakup of the USSR. Scott previously listed the WW1 Postgebeit Ob. Ost overprint German occupation stamps under Lithuania, noting that they were used more widely than just Lithuania. Gibbons lists these under Germany (Pt.10) , Eastern Military Command Area, Russian Baltic Provinces and defines the area covered as the "Postal Territory of the Commander-in-Chief, East (Postgebeit Oberbefehishaber Ost)". FICC Journal v26n1p4 reported that from 2015, Scott has renumbered the Postgebeit Ob. 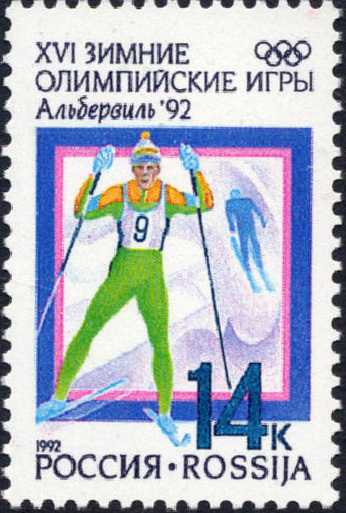 Ost overprints as Russia N1-N12. This has had a consequential effect on other Russian Occupaton issues, notably Aunus, Ostland and Ukraine. Sources: ScS, SGP10, FICC Journal v26n1p4.